Search results for Samsung | Search | What Hi-Fi? A big-screen flagship Android phone for those who value audio and video quality. Samsung has taken its 2019 4K QLED flagship to an even higher level. Speaking to CNBC, Samsung CEO DJ Koh hinted that it could be unveiled at the company's Developer Conference in San Francisco in November. Samsung’s hybrid soundbar and surround-package delivers a big, bold and beautiful Dolby Atmos experience. CES 2019 The future of TV tech? Sure looks like it to us. Samsung is looking to make your wall-mounted TV even smarter by removing the need for a power cable. Samsung uses QLED technology for its premium 4K and 8K TVs. But what is QLED, how does it work, and can it beat OLED? 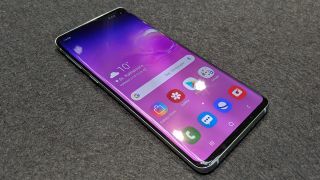 The Galaxy Note 9 could be the best smartphone Samsung has made yet, but are the extras really worth the premium price? At its Galaxy Unpacked event, Samsung has revealed details on its much-anticipated foldable phone. Samsung has followed Oppo in announcing it will no longer be making Blu-ray and 4K Blu-ray players. deals Everything you need to know about this Samsung wireless soundbar and all the best alternatives on the market.